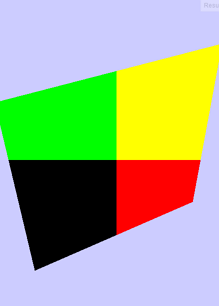 Using Three.js, I have written a vertex shader that colors each point in a plane according to which quadrant of the screen a pixel is rendered. store the window's width and height). However, with this change the colors at each screen pixel seem to change when zooming in and out on the plane. How can I fix the shader code to have the desired effect?